THE Lakeside Lightning women went ever so close to an SBL championship in 2014 and the men were once again a serious contender but it does appear that both will have their work cut out to get back there again in 2015. 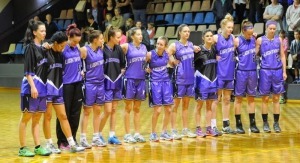 Lakeside's women were outstanding in 2014 losing just three games in the regular season before just coming up short against the Rockingham Flames in the grand final, while the men fell short against the Geraldton Buccaneers in the semi finals in defence of their 2013 championship. The Lightning teams are always well run and well coached so they again will be competitive, but some losses of key players means that others will need to step up big during 2015 if they are to again be championship contenders in both competitions. As far the women are concerned, they were the strongest defensive team in the SBL during 2014 and that was a large reason in them heading all the way to the grand final against the Flames, but they certainly did have some offensive weapons as well. Imports Kari Pickens and Krystal Stoneking were outstanding for the Lightning in 2014 but both will not be there this season, and nor will retired captain Jess Van Schie along with Emily Fielding. Pickens alone was a legitimate MVP candidate last season averaging 21.0 points, 11.2 rebounds and 3.3 assists a game for Lakeside. Add in the combined experience, scoring threats and defensive capabilities of Fielding, Van Schie and Stoneking, and it's going to be no easy task for the Lightning to again be a contender in 2015. However, all of that doesn’t mean the Lightning women should be written off in 2015. Coach Darren Nash is one of the best in the business and he still has players from last year including Courtney Byrnes, Tia Ucich, Amie Nash, Alecia Knowles, Ashleigh Grant and Tiahrn Flynn. Then there is the addition of import Christian Shelter, a 28-year-old 185cm forward, with some young players who will receive the chance to step up and keep the Lightning near the pointy end of the standings. As for Lakeside's men, they did a tremendous job attempting to defend their 2013 championship last year despite the loss of coach Andy Stewart and a host of their title winning players. Now coach David Olley will look to at least back up last year's semi-final making performance where they lost to the minor premier Buccaneers. Imports Brad Tinsley and Caleb Palkert proved to be strong contributors last season but neither have returned to the Lightning in 2015 but their replacements Luke Thomas and Jordan Swing do look more than handy, although, remain unproven commodities. However, any team that still features Brad Jackson, Jesse Dixon and of Jarrad Prue will remain a force. With 33-year-old Prue showing no signs of slowing down and with the team still possessing good local talent, and two imports who could very well be outstanding, there's every chance the Lightning men will be strong contenders again in 2015. The benchmark team of the SBL competition over the last ten years will embark on a rebuilding phase this year. The Lightning are very thin at the point guard spot and will lack depth on the bench, especially at small forward. Defensively they were below average last season and may struggle more this year. Having Jarrad Prue re-commit is a big positive for the squad who will be led by the experienced Jesse Dixon. I see them dropping away this year, however have not seen the new imports yet as they did not feature in the Blitz. Jordan Swing is out of the NBA D-League and Luke Thomas is young with good size. Prue will be amazing again, however even with his large shoulders, they are a bit of an unknown commodity until we see what the imports offer. Last year’s grand finalists, weren’t very deep in 2014 but along with Flames had no injuries to test them. Have lost both imports in Stoneking and Pickens and are rumoured to only be replacing them with one this season. Van Schie has retired and E. Fielding has headed to Melbourne. Still rank them fifth as they are well coached and the remaining players have been together for several years and they have a solid defensive and offensive plan that all players grow up in and understand. Lakeside will be the big sliders with their final table position this season. 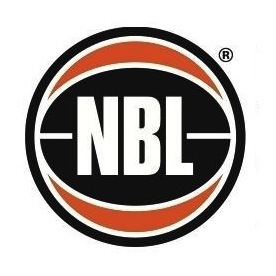 Last year's Grand Finalists have lost both of their star imports Kari Pickens and Krystal Stoneking, as well as Emily Fielding, all of whom were the three top scorers and rebounders for the Lightning. One of the most experienced team leaders, Jess Van Schie is a monumental loss also to a very young squad this year. One import signing may not be enough this season, but keep an eye on upcoming talent Ashleigh Grant who may have a breakout season. Losing Van Schie and Fielding will hurt, along with in my opinion 2014’s second best player in the WSBL Kari Pickens. They will be competitive again, however I see a long gap between the big three (Joondalup, Willetton, Rockingham) and the rest.